To grad school, or not to grad school, that is the question. With nearly 2 million people in graduate programs in the US, the grad school dilemma is one that many students find themselves pondering at one point or another. 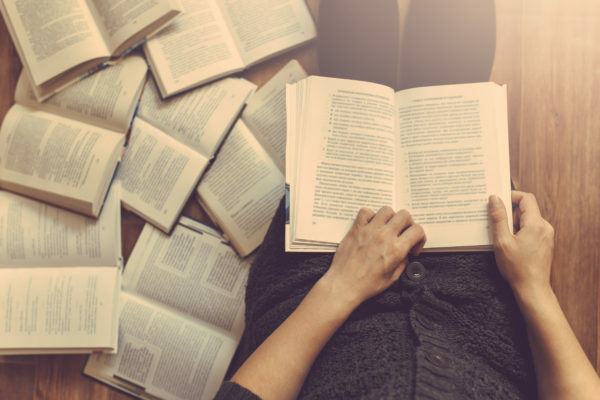 On one hand, many people believe they’re still in that “study” mode and want to head to straight to grad school after undergrad before they lose their studying momentum. Other people are burnt out from four years of long nights and textbooks, and don’t want to have to see the inside of another library for some time. While, in 2007, the average grad student was about 33 years old, this number fluctuates slightly depending on the degree you’re pursuing. Ultimately, the decision on when to go to grad school is extremely personal and specific to an individual, but here are some things to consider when trying to decide. How Can A Degree Affect Your Job Prospects? In some industries, a graduate degree may be a necessary stepping stone to be able to even get a job in that particular field, for others graduate school is more to hone in on the skills and experiences you face while working for a few years after undergrad. To be able to work in Law, Science, or Medicine, you need to have additional, specialized degrees just to be able to get a job in that particular field. You can’t be a lawyer or a doctor without spending a little extra time, and money, if that’s the case for you, then the investment to move straight into grad school may be a necessary one. After working for a few years, many people make the decision to go back to school as a way to gain additional skills to be able to career switch. College is expensive, and grad school is no exception. Before you begin researching graduate programs, you need to be sure that you’ll have the ability to pay for it in some way or another. If you’ve racked up student loan debt from your undergrad, in some cases you can actually delay repaying the loan by continuing your education and receiving a loan deferment. You’d obviously still be taking on additional debt from paying for grad school, and will have to eventually pay it all back, but this option is still available for some students. Working for a few years will allow you to work full-time to start saving up for grad school should you choose to attend later on. One of the hardest parts of going to grad school? Getting in. Universities want to know that you have a vested interest in the program that you’re applying to, and if you don’t have sufficient relevant experience or coursework in a given field, the admissions office may not be able to take you seriously once you’re pitted against someone who’s worked in that field for five years. Many universities have joint or continuing education programs, like Georgetown’s Early Assurance Program or UChicago’s Booth Scholars. One option is an accelerated joint program that you apply to when you apply to a particular college while in high school. In this option, in about five to six years you can complete both your bachelor’s degree, as well as an additional graduate degree. Another option is that when you are in your junior or senior year you can apply directly to one of your university’s graduate program, potentially bypassing some standardized testing requirements like the LSAT or the GRE. Make sure you do your research about what your college offers when looking into grad school! If you’ve been studying and working in a field for the majority of your academic career, you may not need to unnecessarily take the time and gain additional experiences. There’s no right answer to the “Grad School Dilemma,” but these three factors are probably the most important points to ponder when trying to make the decision between waiting or committing. Looking for more advice? Check out our article on applying to business school here. School is tough, and so is grad school. To take some hassle out of deciding the right path for you, sign up for free to receive personalized career data, tailored specifically to you.